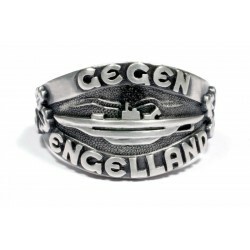 Kriegsmarine There are 10 products. 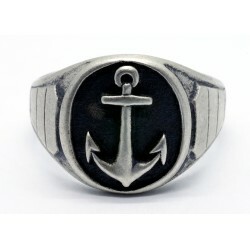 You can acquire this World War Two period – Russian seamen silver ring in a good condition. 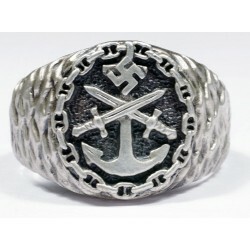 You can acquire this World War Two period – Sterling silver Captain Ring silver ring in a good condition. 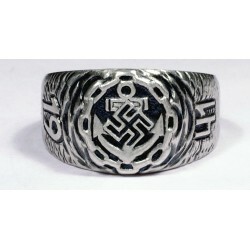 You can acquire this World War Two period – Sterling silver ring in a good condition. 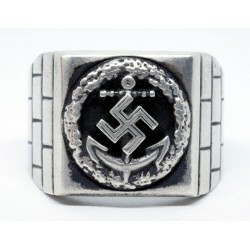 You can acquire this World War Two period – German Kriegsmarine silver ring in a good condition. 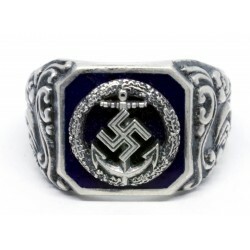 WW II German Kriegsmarine ring. 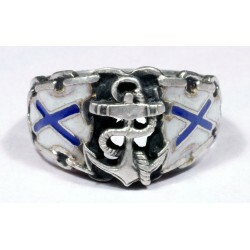 You can acquire this World War II period-German Kriegsmarine silver ring with sharp details in a good condition. 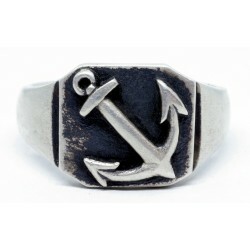 Sterling silver ring with an enamelled dark blue backgraund in a centerpiece. Very unusual design with detailed relief. It`s weight 10.56 grams. 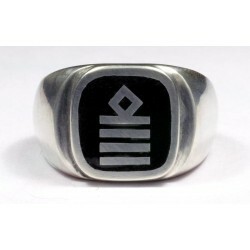 Front dimensions 13.85mm. 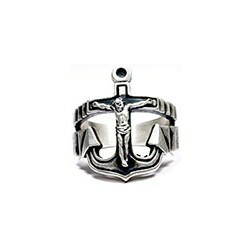 X 13.95mm.